Made for the US market. Only 5 programmed numbers allowed. Our favorite child tracker of the featured list. 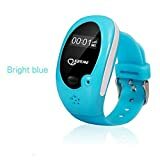 This is a watch and GPS tracker that any parent and child would be happy with. The FiLIP 2 Kid’s GPS Watch is as about as sharp looking as a device as any of the ones that we’ve reviewed thus far. 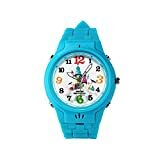 The design is modern and just like the first generation FiLIP child locator watch, this one too is a dependable and accurate tracker with additional features that will help ensure that your child loves to wear it. 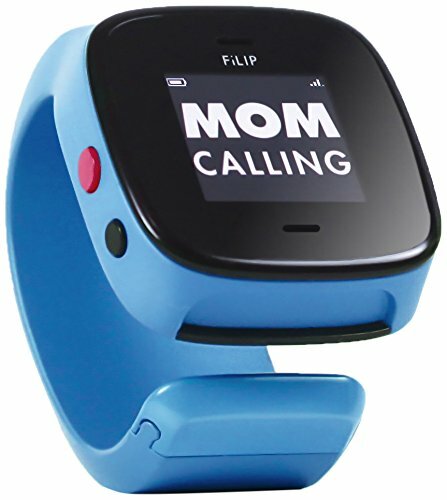 The FiLIP 2 is one of the top choices in children’s wearable tech on the market today. Why? It’s lightweight, tough, water resistant and accurate. When it comes to the child locator market then those are all characteristics that make it a great product. It is one nicely packaged device that comes with 3 very important and very cool features: A watch, a GPS Locator, and a cell phone. As good as the FiLIP 1 was, the FiLIP 2 is head and shoulders above the rest. The company took great care in improving the device as per the needs and wants of their customer base of concerned parents. Looking deeper at the FiLIP 2 we start to recognize how awesome it is as well as some limitations. The band is very child friendly. Not only is is super comfortable and durable but it can also be worn open and closed for added style and/or comfort. Two way communication from watch to phone. Up to 5 pre-programmed numbers that can be called from the watch at the push of a button. Depending on how you look at this feature it could also be seen as a limitation, as in “only 5 numbers”. Made solely for the Amercian market. While this may change, this is currently a PLUS for US buyers. Red emergency button allows your child to, at any time, to activate emergency mode. When in this mode the watch will automatically call the first or primary contact that is stored in the watch. If there is no answer the the watch calls the other contacts, and then starts over again until someone answers. (Button requires 4 second press to activate emergency mode to prevent accidental activation). Several colors are availalble including: Superhero Blue and Watermelon Red. And further customizable witth FiLIP accessories and bands. Android ‘Ice Cream Sandwich’; API level 15+ (4.0.3) and greater.